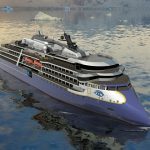 Lindblad Expeditions-National Geographic has announced an additional voyage for the newest addition to its fleet,National Geographic Endurance. Slated for delivery in 2020, the 126-guest vessel is the first new polar build in the line’s history. Following her inaugural season voyaging the Arctic in 2020, National Geographic Endurance will depart on a new and unique itinerary that explores the seventh continent with two departures only. The voyage will explore where few humans have been before and will discover four stunning wilderness regions, from the Peninsula to the Ross Sea and New Zealand’s Sub-Antarctic Islands. Lindblad Expedition’s Epic Antarctica itinerary is a 34-day expedition starting from AUD$61,000, departing on 27 December 2020 and 26 January 2021, with the second departure date operating in reverse. In the company of a renowned expedition team, guests will witness the big ice of remote West Antarctica; prolific wildlife and impressive ice shelf of the Ross Sea region; and the sub-Antarctic islands of New Zealand and Australia, World Heritage sites for the thousands of seals and millions of penguins here, including huge colonies of king penguins and the endemic royal penguin. This is wilderness and wildlife at its finest, with Lindblad given special permission to explore strictly regulated islands, which are protected at the highest level of conservation status by the New Zealand government. Following in the footsteps of Scott, Ross, Amundsen and Shackleton, perhaps only a few thousand people in the history of the planet have ever made this voyage. The new National Geographic Endurance will be in full expedition mode exploring West Antarctica, granting thrilling opportunities to crunch through thick ice and explore places few have seen. 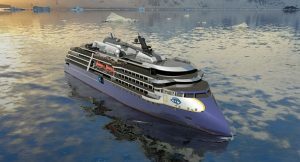 National Geographic Endurance is a next-generation expedition ship, purpose-built for polar navigation. A fully stabilised, highly strengthened, ice-class Polar Code PC5 (Category A) vessel, it is designed to navigate polar passages year-round and safely explore unchartered waters, while providing exceptional comfort. Its patented X-BOW® is key to its design; its powerful wave-slicing action provides an extremely smooth ride in even adverse conditions and even reduces spray on deck, for superior observation. She carries a full suite of expedition tools and offers a variety of experience-enhancing amenities.